If you like your living room accessories flawlessly matched, this is the set for you! 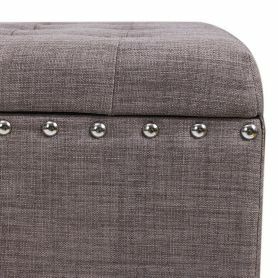 Three beautiful ottomans with soft, fabric upholstery that not only go together - they fit together, too! The two smaller stools (22x14x11" and 15x15x11") fit neatly inside the larger, 42" long piece. 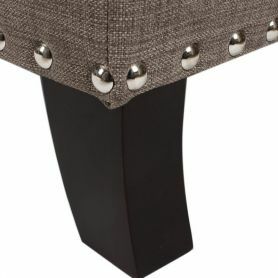 While the smaller pieces are simple and unornamented, the largest footrest features a row of silver brads across the top and bottom of the base, and a button-tufted top. 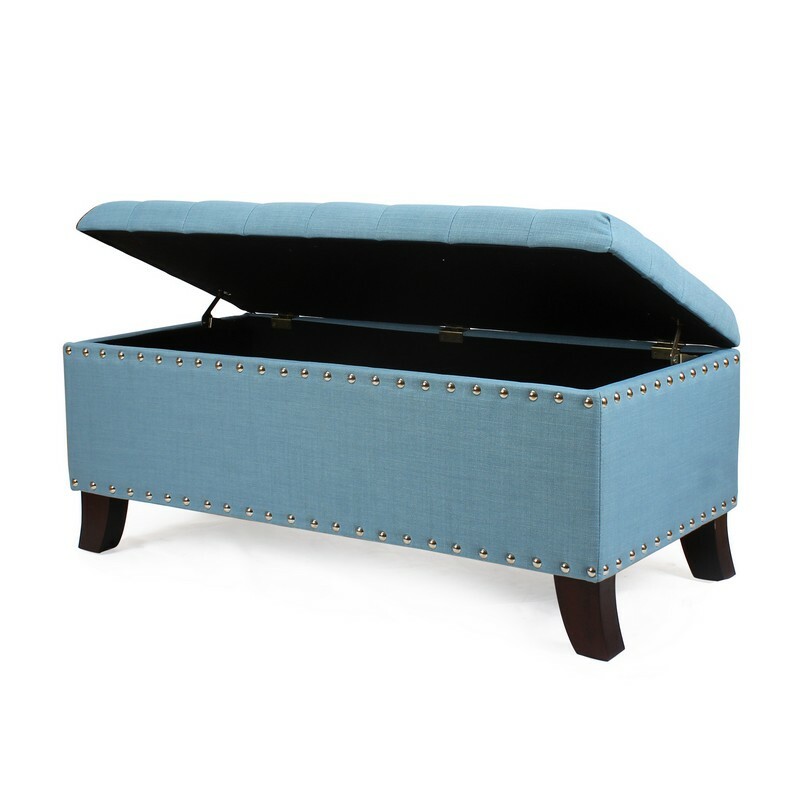 All three ottomans feature a storage space; the largest piece is hinged on the longest end for easy access to the spacious interior. Whether you choose to display all three stools together in the same room or scatter them around the home for a unifying style, you're sure to love this versatile set.